"The local popularity of LOUD & CLEAR was very CLEAR. The Roxy was packed to capacity and there were a lot of people screaming their heads off throughout the set" ... "Fans would rush the stage and drop to their knees while hearing lead singer Jess Harnell soar through 'You Take Me Higher', then wag their fists along to 'Ain't Talkin''Bout Nothin', but having the stage packed with hot dancers on 'You Gotta Dance' took the show over the top." "Another rave review for LOUD & CLEAR as they packed the house with yet another successful show. Had almost every girl in the house mesmerized" ... "KLOS commented that they're one of the best bands that has come out of LA" ... " These guys are bound to earn a permanent name in the music industry. What a band!" "The platinum potential of this band is exceedingly obvious" ... "The kind of songs that are instantly, and forever memorable" ... "Singer Jess Harnell is blessed with the kind of voice that simply melts you, with the stage instincts to carry LOUD & CLEAR to the top, no question about it. I've never heard anyone like him" ... "one of the finest (not to mention biggest-drawing) bands in LA" ... "Guitarist Chuck Duran matches flash with feel. There aren't many six stringers that can touch this guy" ... "Alex Track's incredible rock drumming is perfectly solid and compliments the band perfectly". "Few bands can claim to exhibit this kind of vocal prowess-the local 'throat mongers' better run for cover" ... "A seriously talented melodic hard rock outfit" ... " LOUD & CLEAR is from the vocals and harmonies first school and has absolutely no problem delivering their message". "LA rockers LOUD & CLEAR have been making a lot of noise out there for those smart enough to listen" ... "Covering all their bases, this outfit has risen to the top of the scene" ... "The mainstream hard rock band pulled in well over one thousand people at their Palace gig". "Best singer in LA: Jess Harnell, whose style can best be described by the bands name" ... "LOUD & CLEAR" exploded on stage to a packed house-sweaty, smokey and sticky, the way the Roxy should look on a Friday night" ... "A 100% mesmerizing entity to be sure"..."Jess Harnell is a performer of such brilliance that I get goosebumps every song he sings" ... "Simply put, LOUD & CLEAR is one of the very finest melodic rock bands I've ever heard". 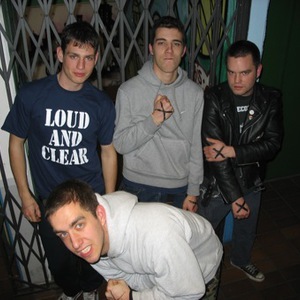 "LOUD & CLEAR is a great band. Their execution is faultless, the players are ultra professional and the sound is crisp and clean. The guys are even picture perfect" ... "Lead vocalist Jess Harnell has a wide range and perfect pitch and if you like no-nonsense melodic hard rock with all the frills, you won't see or hear a finer example than LOUD & CLEAR. The price of a ticket to one of their shows will be the best investment you'll ever make".